Everybody eats is a simple statement, but a complex challenge in Newfoundland & Labrador. The island of Newfoundland is cut-off from mainland Canada by the ocean, and Labrador is a vast land of isolated communities. Our geography and population dynamics create a lot of unique challenges in providing our communities with consistent access to healthy and affordable food. You can read more about these issues on our What Is Food Security? page, which lists many statistics, and summarizes the state of food security in Newfoundland & Labrador. Because of these challenges, there has been a recent surge in action and interest in local food security, from the public, government, and community organizations throughout the province. It is in everybody's interest to build a better food system in NL. Our Everybody Eats project was established to channel this momentum, by sitting key players and policy makers in the food industry around the same table, in order to catalyze actionable steps towards a more vibrant food system, and a more food secure Newfoundland and Labrador. In 2015, Food First NL partnered with the NL Public Health Association to develop and lead Everybody Eats: A Provincial Dialogue on Food Security in NL. Everybody Eats was launched with the release of a Discussion Paper on the state of food security in NL. The discussion paper outlines an introduction to the local food system, provides an overview of the current state of food security in NL, and highlights existing food security efforts already underway in the province. An advisory committee of 20 organizations from various sectors and regions of the province was assembled and engaged to mobilize action on food security in NL. The committee includes representation from agriculture and fisheries, chefs and restauranteurs, dietitians and public health practitioners, emergency food service providers, policy makers, and more. They informed and guided the process of identifying our food system’s primary issues, and possible resolutions. During the dissemination of Food First NL’s Everybody Eats Discussion Paper, more than 900 key people participated in over 2,200 hours of discussion on food security in our province. This comprehensive level of engagement was achieved through 26 events, and via an online forum. At each engagement session, participants were asked a common set of questions to help identify priorities, challenges, and opportunities for advancing food security in NL. In 2016, Everybody Eats adopted a Collective Impact Approach to advance food security in Newfoundland & Labrador. The purpose of a Collective Impact Effort is to obtain commitment from leaders across different sectors to solve a complex social problem, such as food security. It ensures every player necessary for change is sitting aboard same the ship, charting the same course, towards the same goal, which increases the odds of a positive outcome. For example, to resolve our issues with food production, we need local farmers at the same table as local policy makers. The public sector is in control of things like roads, ferries, and agricultural and wildlife policies that affect the food system. The private sector is composed of the farmers, fishers, chefs, shops, and food producers who produce the food we eat. Naturally, we need the key players from both sectors at the same table, so food producers can communicate what they need to enhance local food production and security, and policy makers can communication their capacity to meet those needs. The Collective Impact model of Everybody Eats has ensured the Community Sector is at the table too: they’re the ones who, for example, deliver local food programming via initiatives like food banks, or community gardens and kitchens. In October of 2017, Food First NL released Everybody Eats: What We Heard. The document summarizes 2 years worth of engagement and discussion among key stakeholders on food security in our province. You can read it by clicking the cover image to the right. Throughout the Everybody Eats engagement process, 2 inter-connected issues emerged regarding access to healthy food: healthy foods tend to be less affordable than their alternatives, and, unhealthy options tend to be more readily available than healthy ones. Healthy food is also out of reach for people living on low income, and people living in communities with compromised access to full service grocery stores. Fresh foods take so long to arrive in many rural communities, it's nearly spoiled or of poor quality when it reaches their stores, making the healthy choice the undesirable choice. Participants spoke about the need to enhance education around the relationship between food and health, and the awareness of our province’s food security issues. Our province is home to the highest rates of obesity and diabetes in the country, and we have a very low consumption of fruits and vegetables. It was suggested awareness could be raised particularly well through the formal education system, and public awareness campaigns. The formal education system, spanning kindergarten to grade twelve, presents an exceptional opportunity to better our children’s relationship with food and nutrition, while building food skills like cooking, gardening, food preservation, and fishing. In November of 2017, the Everybody Eats Leadership Team hosted a Provincial Planning Forum on Food Security. The Forum brought together more than 85 key stakeholders in the provincial food system, and was attended by premier Dwight Ball, who provided opening remarks. The goal of the forum was to shift the project from engagement to action. It was time to stop talking about food security issues, and start doing something about them. Through a series of hands-on, interactive exercises, attendees discussed and reflected on findings from the Everybody Eats engagement process, and worked together in identifying a first round of action points to improve food security in NL. The forum also provided an opportunity to enlist potential candidates to form working groups that would develop and enact these action areas. Using input and feedback generated at the Provincial Planning Forum, the Everybody Eats Leadership Team identified 3 initial action areas for the next phase of the Everybody Eats project. These action areas were identified as priorities on the basis of their urgency, potential for impact, and the viability of their implementation resulting in productive action in advancing food security. * To read more about Cost of Food in NL, click here. Throughout the Everybody Eats engagement process, participants identified the need for supportive policy across all levels of government, and non-government institutions, including schools, hospitals, government buildings, organizations, and businesses. Thanks to local initiatives like Everybody Eats, we're seeing positive policy changes at the provincial level in NL, including a commitment to double our food production by 2022, as part of the Liberal government's Way Forward strategic plan. The province has also released significant crown land for agricultural purposes, and made it easier for local fishers to sell to local retailers and restaurants. As another example, to facilitate the sharing of traditional food skills, the province has also reduced the legal age of hunting small and large game to 12 and 16 respectively. In March of 2018, Food First’s Executive Director Kristie Jameson and Everybody Eats Project Manager Ethan Doney attended the Maple Leaf Centre for Action on Food Security’s inaugural, national symposium on food security, where Jameson sat on a panel that focussed on policy levers that can advance issues of food security. Farm to School initiatives bring healthy, local food into schools, and provide students with hands-on learning opportunities that foster food literacy, all while strengthening the local food system. 84% of our communities do not have a full-service grocery store, and rely heavily on their corner stores for food. This project was created to improve the selection of healthy, affordable food in such communities. Sharing and celebrating food with seniors at events across the province. 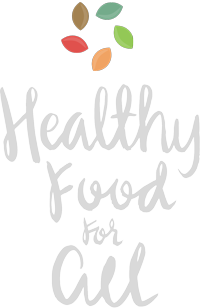 Your one-stop-shop for healthy eating resources in NL. The St. John's Food policy Council was created to sit key players and policy makers around the same table, so they could work together and help the food system flourish in St. John's. The annual Good Food Challenge was founded by Food First NL to encourage people to discuss and learn more about food, food systems, food security, and food issues, as a way toward healthier eating for people and their planet.